My thirst for knowledge seems to have developed over the years, now more than ever my goal is to take in these unique skills and stories of others and share them with those people who care to listen. 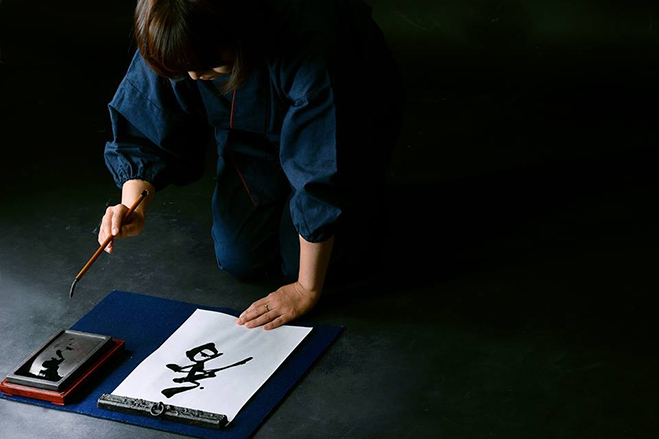 Calligraphy for example is a relatively new form for me to explore, I’ve only ever noted it down as another facet of art but little did I know the complexities of the subject. So a post like this today is a perfect illustration of my expanding knowledge, every time something new or of interest arises I try to read up and learn as much as possible. 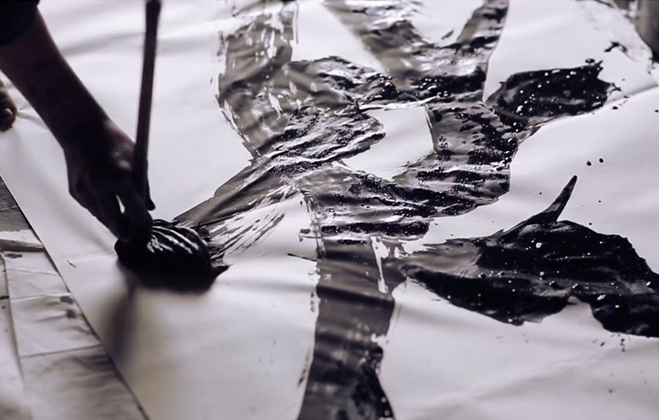 One thing I did note is that the process of creation for a calligrapher can often be a spiritual one, as you’ll probably notice in the short film embedded below. 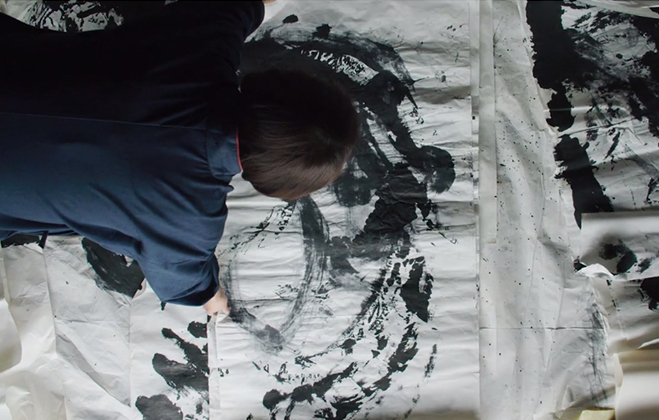 This captures the making process of talented Japanese calligrapher Sen (Rinka Obitsu), who’s attempting to perfect her calligraphy through a piece titled “Prayer”. Each creator has a set style of working, but Sen has loose rules and is unrestrained when expressing herself. 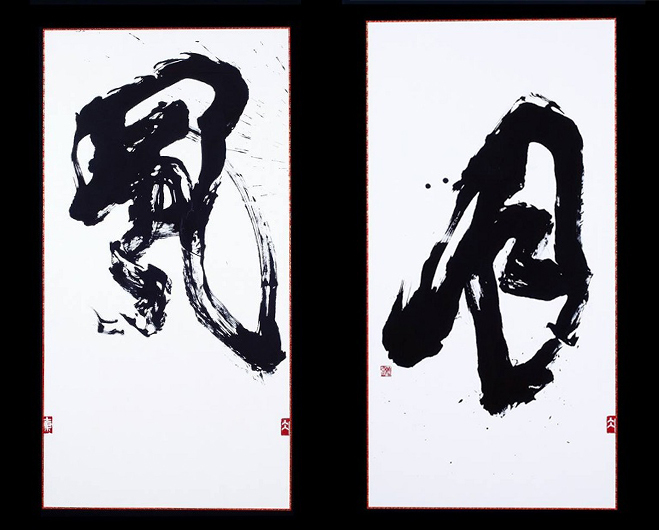 She writes with her entire body while standing, by engaging “void mind” and pure emotion, through visualising whatever the subject of the given calligraphy is. 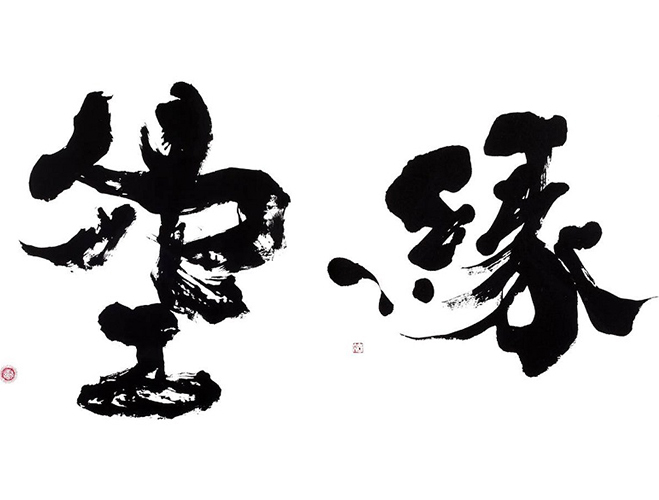 Sen sees not only a character, but a thought or message that can be translated to the rest of the world. For me one of the main intrigues was this sense of freedom. As a trained designer this creative process isn’t what I’m used to, but it’s definitely something that I’d like to try myself, to see what such a technique can bring to my own work. 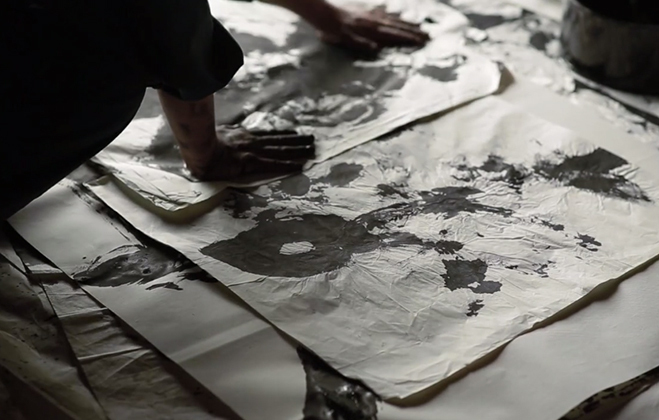 In the video everything looks rather erratic and volatile, papers and ink scattered everywhere, but once the piece is finished we can see she’s tamed her thoughts in to this set dimension. Very impressive indeed! It’s fascinating how the black against the white space is so striking, I think this is the hardest part for a calligrapher, both of these play a part in the finished piece and have to be accounted for. 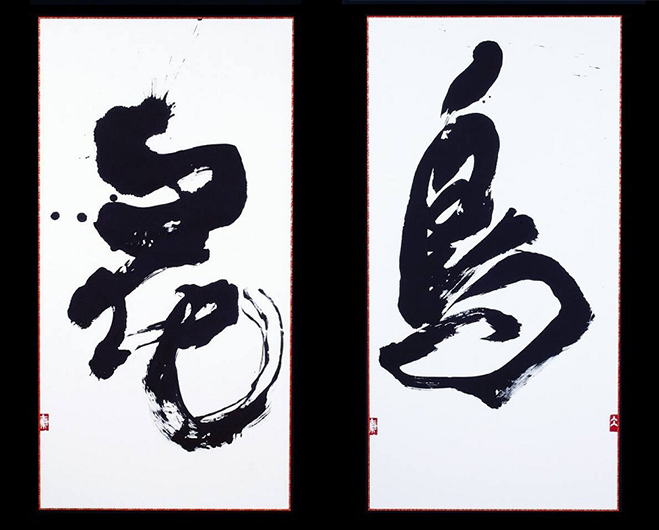 I’m told Sen is one of the more promising calligraphers in Japan, and I’d certainly agree with that statement from what I’ve seen so far. I hope you enjoy this short film and her selection of works placed below.